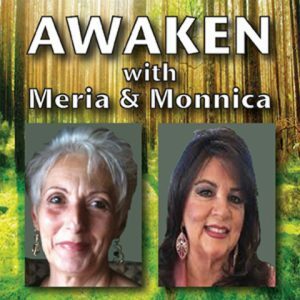 1/16/19 Awaken With Meria & Monnica. We are in a Universal 3 year in numerology -what does that mean? Difference between Universal and Personal numerology; Universal Month of 4; The Empress in Tarot; take your power back; the “I Am”; New Year Resolutions? worry vs. concern; goals; How to wake up and set your day; the fire finger; honesty in all types of relationships; family dysfunction; spiritual vs. religious; love starts with you; you attract what you are; regrets? staying in the now; worry; guilt & blame; past lives; future lives and lots more.